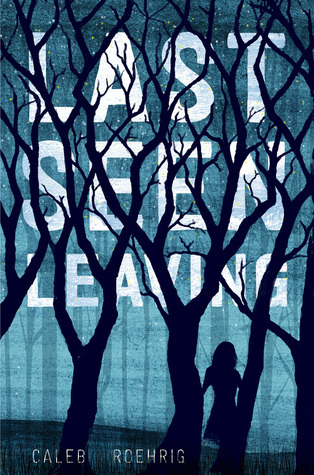 Flynn is a high school sophomore whose ex-girlfriend, January, is reported missing. The breakup was a relatively recent turn of events, so he becomes a prime suspect. In an effort to discover the truth, and clear his name, he uncovers a number of discrepancies. January had been lying to him and just about everyone he "interviews" about her disappearance. We don't have the opportunity to meet January before her disappearance, but there are several flashbacks to Flynn's encounters and conversations with her. Her mother recently married a wealthy politician and her life was turned upside down. She was forced to transfer to a private school, her home life was a disaster, and she was distancing herself from all of her friends. She was under a considerable amount of pressure from her step-father and his campaign manager, but all of these factors combined don't seem like enough to make her run away. In addition to the mystery, the book focuses on Flynn coming to terms with who he is as an individual. I loved his personality and sense of humor from the beginning, but admitting the truth allowed him the chance to finally be himself. He was essentially forced to come out and wasn't prepared, but I felt like Roehrig did an excellent job of portraying Flynn's feelings and experiences in a very realistic manner. Everything wasn't champagne and roses and I certainly wouldn't expect it to be. There were several twists that I did not see coming, including the ending. I felt like the story wrapped up nicely, but there is still the possibility for a second book in the series. I gave this book 5 stars and will definitely add whatever Caleb releases next to my TBR list. This book was very well written and is highly entertaining. All this to say that Last Seen Leaving had me puzzling, in suspense, kinda creeped out, questioning almost everyone in the story....Caleb sucked me in completely! I opened that book and got lost in the web of mystery. And even after I finished, I was still thinking about it -- putting together pieces in my head, realizing connections, and so forth. But Last Seen Leaving was also funny! Even though it's an intense story and subject, I found myself literally laughing out loud several times at Flynn's thoughts and flashbacks. I tend to not like too many flashbacks in a story, but the ones here were enough to give context to the story, but not too much to take you out of the current action. Okay, I'm going to be the BookNerd to admit this first...I had no clue (in the world) who Caleb Roehrig was prior to BEA. However, all of us BookNerds were lucky enough to meet him at BEA & let me tell you this guy is a dream! And I'll even tell you it's one reason why we read this book so fast! He's a dream! I've backed off my mystery love here lately. Nothing has seemed to 'grab' me and keep me hooked in. However, there's something about this book I just couldn't put down. Flynn, is OMG! (Yes, that's a descriptive word!) He's funny, caring, and desperate to find January. Every time a new character came up I was on the edge of my seat to see the clues and figure out if they had 'done it'. It's a real page-turner! Each chapter there's a new surprise, a bit of foreshadowing, and a few laughs. I have to agree on Flo with this one...Flashbacks! I'm not a huge fan of them either, BUT...BUT...Caleb doesn't bombard you with them & they are necessary to the story. However, it's the only thing I didn't particular care for. This book is a must read! A must have! It's due out in October and it'll be a great 'FALL' read! I would recommend it to everyone. I haven't seen this book, or the author, ever. But I'm pinning now because it sounds like something I'd love!